This program is taught by and intended for women. Love creates and love gives. It's what love does. God created out of His great love and He gave His only begotten Son out of His great love. Because He wants offspring who will return His love, He shows us how love looks. 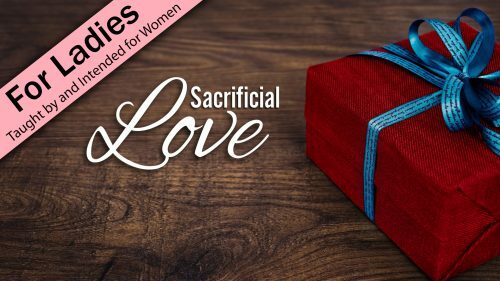 His sacrifice of love and Jesus' sacrifice of love motivate us to return their love in a sacrificial way. Love creates and love gives. You and I are a gift to Christ, part of the creation that God gave to Him. 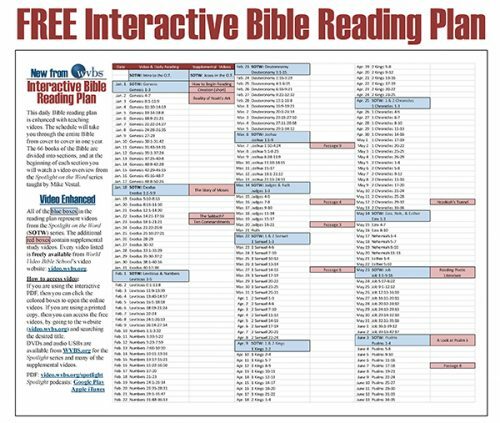 When we submit to Christ’s will, we in turn show our love and obedience. Join Doritta Johnson as she presents a lesson on God’s gift to Christ. God loved us so much that He sent His Son to be an atonement for our sins. When we think about Christ’s sacrifice and all that He endured so that we could have an eternal home in heaven, we should feel overwhelmed and astounded by His love for us. 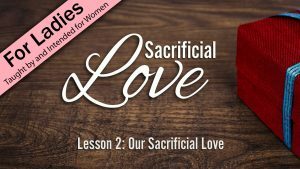 Join Doritta Johnson as she presents a lesson about true sacrificial love.